Chinatown Ho Chi Minh City is one of the most bustling areas in the city, also called Cho Lon (which means “big market”). Located in District 5, it is the centre of Chinese culture and where the majority of Chinese communities have been established. Over many generations, the Chinese have lived here, built many streets and several constructions that maintain the Chinese cultural spirit. Chinatown is an attraction not only for tourists but also for the Saigonese. 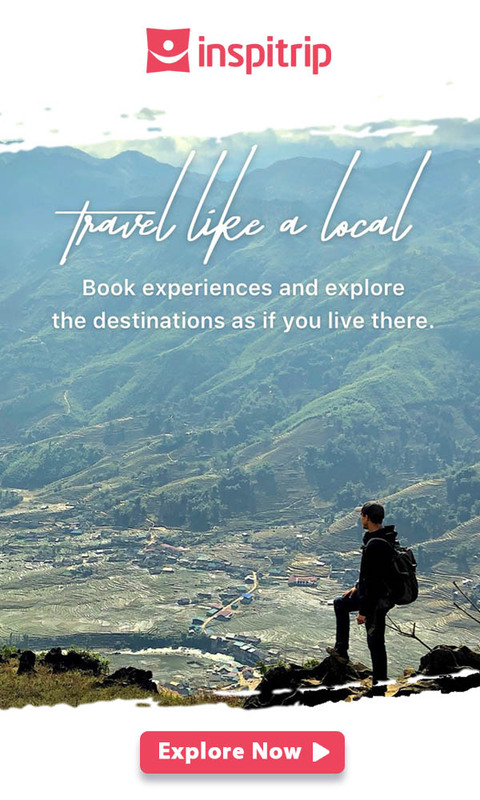 A trip here should start with a walk around the ancient club-houses and Thien Hau Pagoda, then wander around the Binh Tay market to buy some special souvenirs. There are numerous local stores selling a wide variety of goods, including contemporary toys to ancient Chinese-styled handicrafts. Finally, you should take a “food tour” to experience the quintessence of the harmony between two cultures for thousands of years. Here are 5 dishes that bring out the most “Chinatown-feel” right in the heart of Ho Chi Minh City, Vietnam. Chinese style noodles are softer and larger in width than Vietnamese noodles. The Chinese have their own special cuisine; they cut fresh snakehead fish into extremely thin slices. The pure white noodles combine with opalescent fish slices, making the dish look incredibly gentle. The attractiveness of Hủ tiếu cá lies in its bouillon, which is charming and smells lightly of Tăng xại – a traditional Chinese spice made of salted napa cabbage. 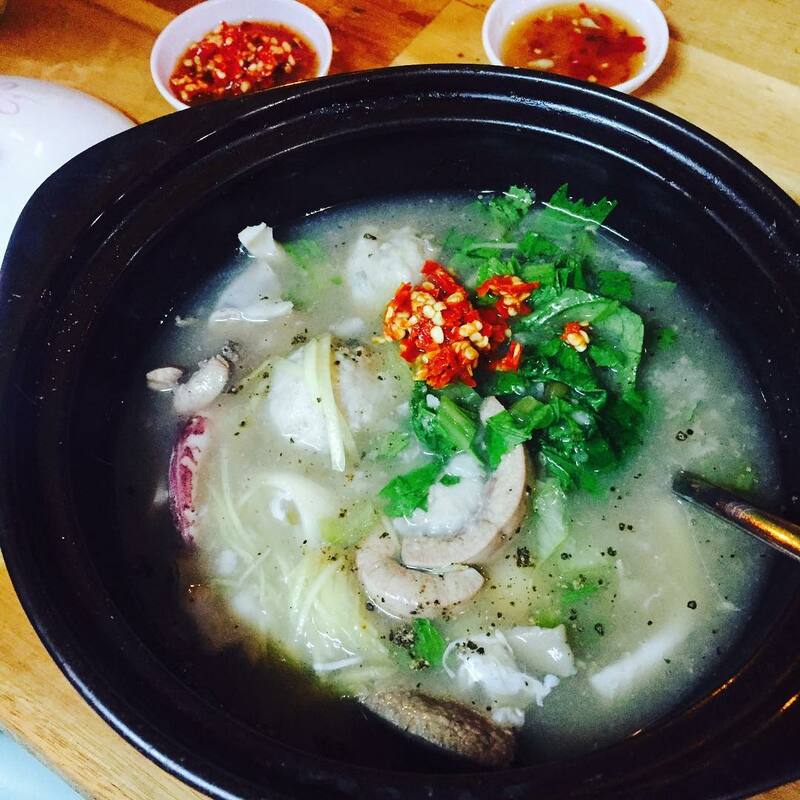 The soup is cooked with snakehead fish and pork bone to give it a natural and unique sweetness. The Chinese will often serve Hủ tiếu cá in traditional “trolley” stalls, which are small tables on wheels, used for serving food. You can easily find a trolley like this in many alleyways around Chinatown Ho Chi Minh City. The most famous stalls are Tam Ky restaurant at Cao Van Lau street and Thieu Ky restaurant at alley 66, Le Dai Hanh street. These stalls also often serve Pate chaux cake, which traditionally accompanies Hủ tiếu cá. A Hủ tiếu cá bowl can cost around 30.000-70.000 VND. A Pate chaux cake costs around 10.000-15.000 VND. Mì vịt tiềm is a nutrient rich dish, this is because the duck meat is stewed with various medicinal herbs. The duck meat is mixed with herbs and spices, then fried and stewed, making the meat soft and easy to eat. The noodles are made of eggs and flour; they are long and tough. The chefs tend to add bok choy to the bowl in order to make the dish greener and healthier. The bouillon has a slightly sweet taste and smells similar to Chinese medicine. Hai Ky restaurant – 349 – 351 Nguyễn Trãi, Ward 7, District 5: A bowl of stewed duck noodle soup here costs 97.000 VND. The restaurant opens from 10am to 11p.m everyday. There are also some delicious desserts such as egg yoghurt, guilinggao, salted egg yolk cupcakes, etc. Thiem Huy restaurant – 445 Nguyễn Trãi, Ward 7, District 5: The prices here are a little more expensive: 108.000 VND/bowl. There are several other choices if you don’t like duck, such as stewed chicken, shrimp dumplings or crab soup. 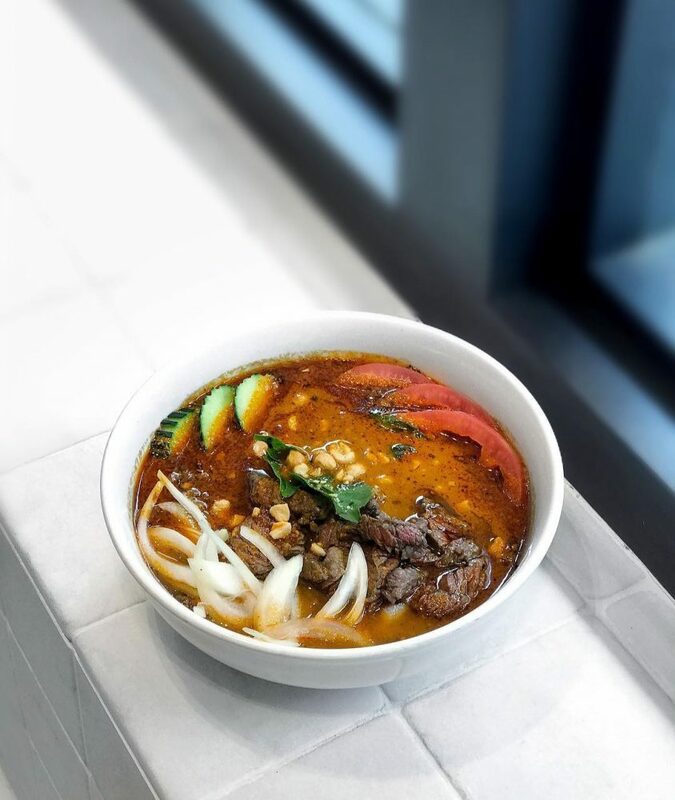 Chili paste noodle soup originates from Teochew, China. 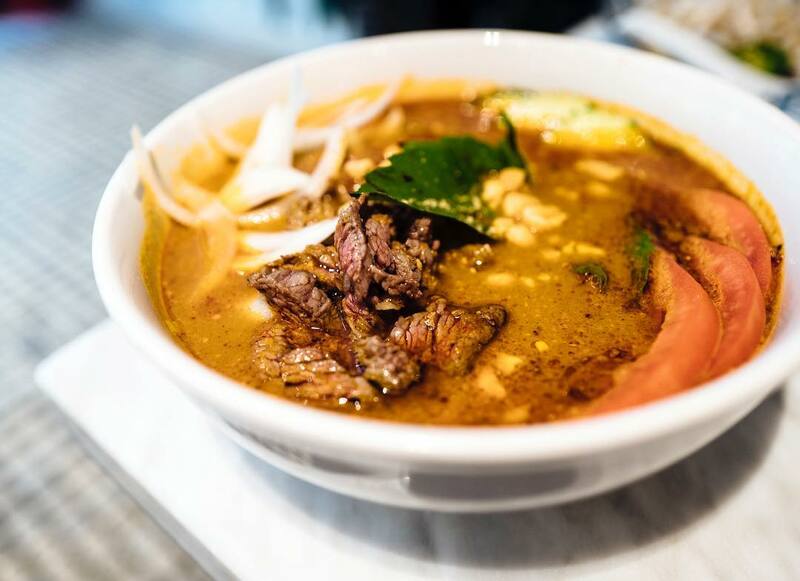 It’s said that this soup is the result of two cultures, Teochew and Java, when they lived together. The noodles are large in width and white like those of the fish noodle soup. The chili paste of these noodles is made with a special recipe consisting of 20 ingredients such as clove, cinnamon, garlic, lemongrass, curry and chili. The Chinese use beef or venison for this soup. The dish is then accompanied by different kinds of raw vegetables to help balance the taste. The best known restaurant serving this soup is Quang Ky restaurant (117 Triệu Quang Phục, Ward 11, District 5), which is over 50 years old. It lies in front of an old temple which you could explore after your meal. A bowl of chili paste noodle soup costs around 70.000 VND. In the past, Teochew porridge was a common dish that eaten by working class people. 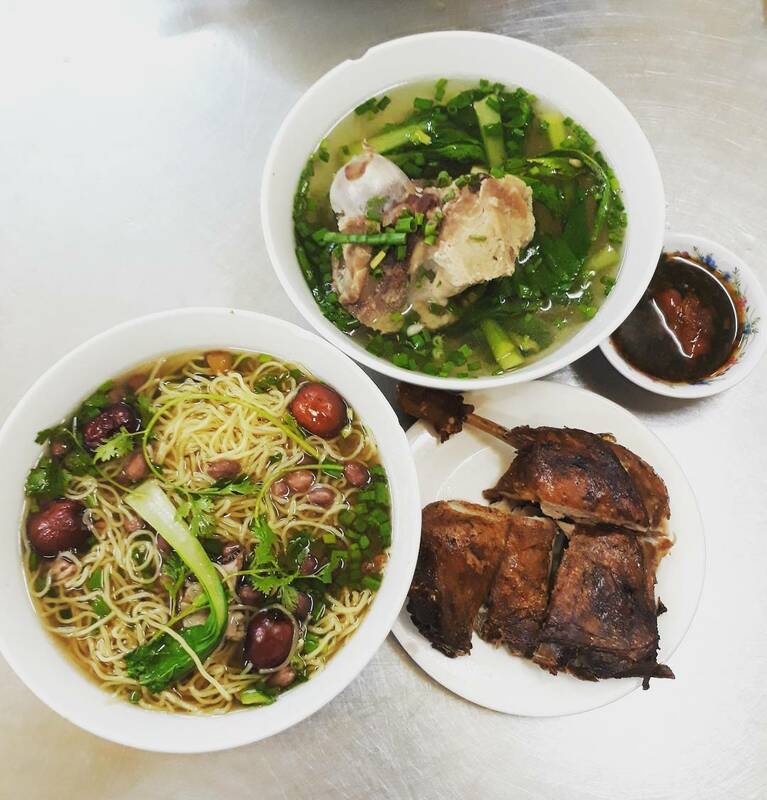 After being adapted into Vietnam’s culture in 20th century, it has gradually become a special dish of Chinatown Ho Chi Minh City. Unlike other Teochew dishes, this one is a little less flavoured. A bowl of plain rice soup is soused with broth, which is cooked in a special way. The broth comprises of pork, tripe, pig blood curd, porks feet, tofu, pickled mustard greens and water with added esoteric spice. Pork and pork feet make the broth greasy so the Chinese use pickled mustard greens to counter that. A pot of broth is put on a low fire throughout the opening time of the restaurants. You can order cooked rice instead of porridge to help satisfy your hunger more effectively. Along Hong Bang street in District 5, there are several restaurants that serve Teochew porridge. Most of the restaurants are small and don’t even have an official name. Each restaurant has its own esoteric recipe of cooking the porridge. Therefore, every restaurant has a different, distinctive and unforgettable taste. Sủi cảo is a kind of Chinese dumpling which has a thin cover and a meat kernel. There are several ways to eat jiaozi; it can either be boiled, steamed, fried or cooked with noodle soup. Traditionally, Chinese family members would make jiaozi together to celebrate Chinese New Year’s Eve. Some would hide a clean coin in a jiaozi for the lucky person to find. Nowadays, this dish is made all year round and has become a common dish throughout the world. When it comes to Vietnam, it was changed slightly to fit in with the Vietnamese culture. 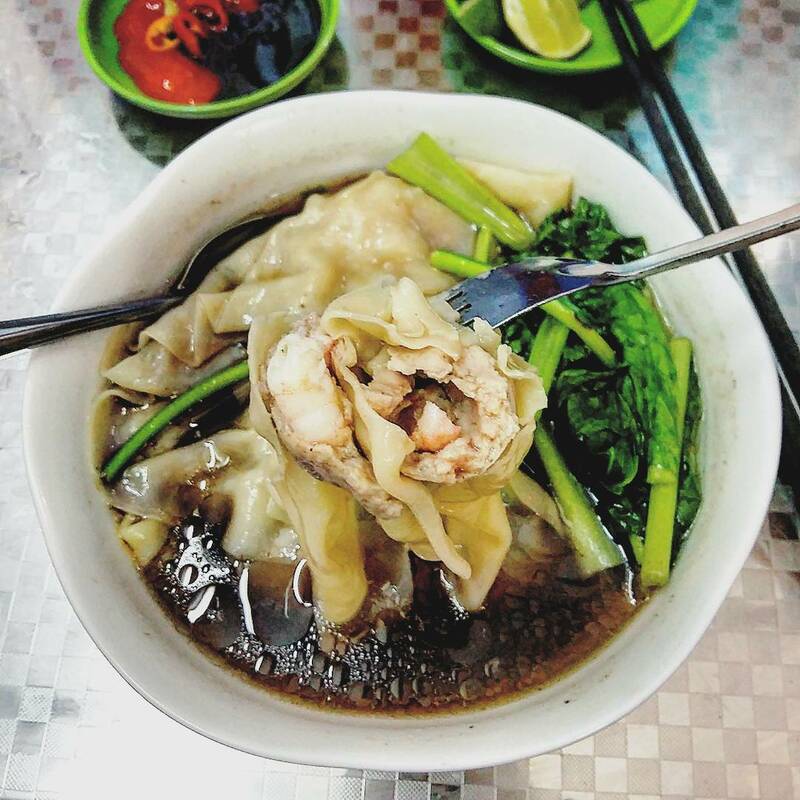 The jiaozi in Vietnam is mainly boiled jiaozi, served with light sweet bouillon and bok choy. In Chinatown Ho Chi Minh City, jiaozi is served in abundance in numerous restaurants. The most unique one is a restaurant which has no official name, it lies in alley 409, Nguyễn Trãi street, District 5. This restaurant adds fried chicken or stewed pork and pork feet into the jiaozi bowls. A bowl costs around 30.000 VND. The restaurant opens from 4 p.m until late every day. Chinese cuisine is rich and beautiful. It blends with Vietnamese culture, making delicious and nutrient dishes. 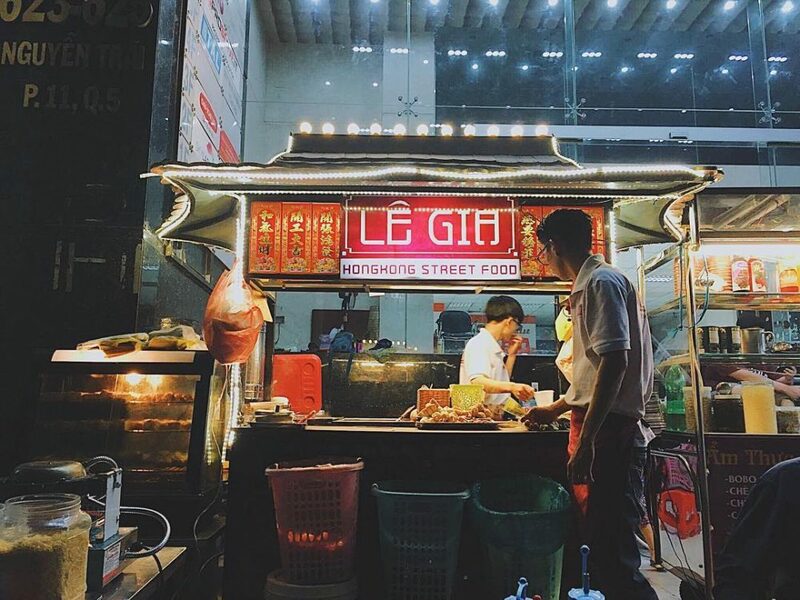 In the Chinatown Ho Chi Minh city, there are countless Chinese restaurants inheriting special cuisine from forefathers that lie in every small alleyway. To find out the best restaurants for an unforgettable food experience, the best way is to ask a local guide for suggestions. Check out our Chinatown experiences on Inspitrip. Then find a local insider to become your buddy and take you on an exciting and unforgettable food journey. Wanna explore the culinary refinement of Ho Chi Minh city with us? 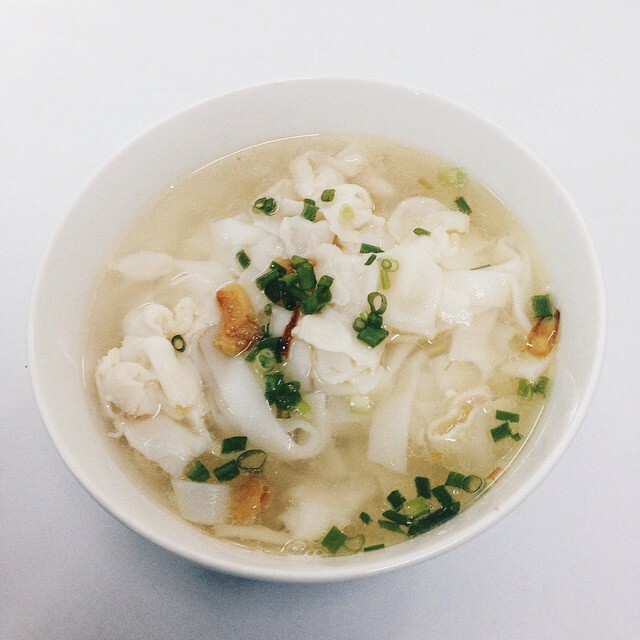 Join Inspitrip Saigon food tours now!